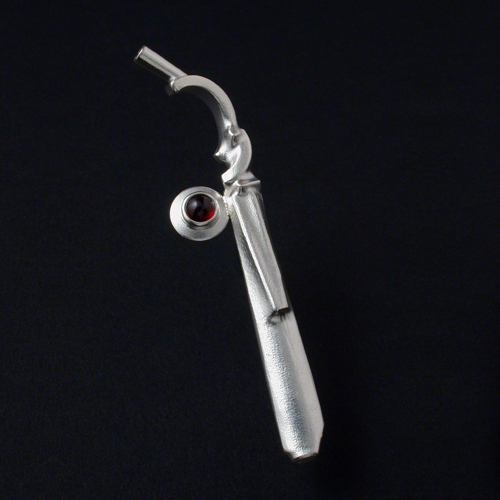 Created in 2008 to celebrate a friend's Silver Anniversary (25 years) with her Winnipeg-based design firm, this cast and constructed Sterling silver brooch features a Garnet cabochon. A series of forms were developed through a material exploration of heat-shrink tubing. My intent was to retain some sense of the material's nature in the cast metal. The succesful form was later moulded in silicone, an acrylic model created and cast in Sterling silver, and the brooch assembled.